While Gordon Lightfoot's annual Massey Hall performances are on hold in 2019 due to renovations on the venue, those looking to get acquainted with the Canadian songwriting icon's music will be able to do so with a new singles collection. Lightfoot's The Complete Singles 1970-1980 is set to arrive through Real Gone Music on March 1, packaging an impressive 34 A-sides and B-sides together over two CDs. The collection features every single Lightfoot had recorded with producers Lenny Waronker and Joe Wissert. 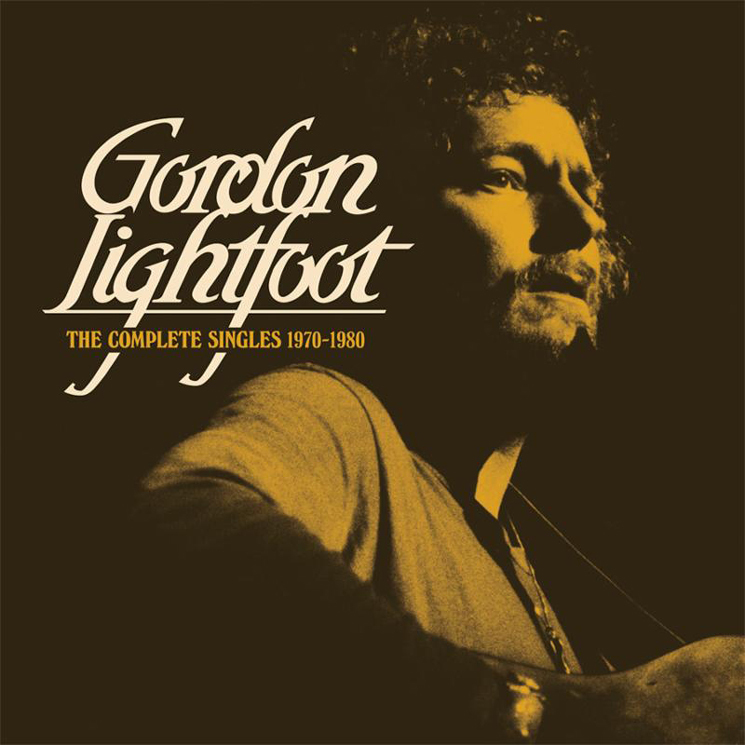 The set is said to boast rare single versions of Lightfoot's iconic "The Wreck of the Edmund Fitzgerald" and "Rainy Day People," in addition six other yet-to-be-named songs appearing in their mono single versions on CD for the first time. Material for the set was remastered by Mike Milchner at SonicVision, with additional mastering and tape vetting by Aaron Kannowski. The collection also features liner notes authored by Richie Unterberger.